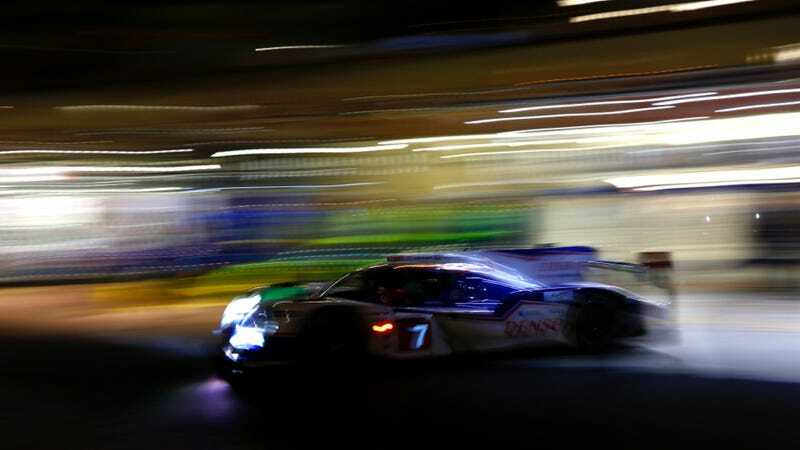 You're a motorsports fan and you need to watch Audi, Porsche, and Toyota duke it out at this year's 24 Hours Of Le Mans, where do you turn? Fortunately, there will be a variety of great viewing options to satisfy your needs. For TV viewers, Fox Sports 1 and Fox Sports 2 will have you covered. The first 7 hours of the race will be broadcast on FS1 Starting at 8:30 AM EST on Saturday, with FS2 taking over for an hour at 4 PM EST. FS2 will pick up the broadcast again at 6 PM EST and go all the way until 2 AM EST on Sunday. FS1 will take over until 7:30 AM EST, handing it back over to FS2 for the final hour and a half. Unfortunately, Fox Sports 2 doesn't seem to be available everywhere, and many of you might not have cable at all. Fortunately, there are many great streaming options this year for watching the 24. The race will be officially streamed on 24h-lemans.com in both English and French, with full live timing and in-car cameras. The best part is that it's all free, and they're already streaming practice. For iPhone/iPad and Android users, there's now an app which gives you free access to live timing, plus a cool map which shows live positioning on the track. Full streaming of the race is available for $10.99 as an in-app purchase as Damon reported. If for some reason, that app doesn't tickle your fancy, and you're a subscriber to Fox Sports 1, the Fox Sports Go app for iOS will also be streaming the entire race. In addition Foxsports.com will host in-car cameras from the two gorgeous Corvette Racing C7.Rs. Certainly no lack of choice for watching this year's 24 Hours Of Le Mans. How will you be enjoying the race this year? Any streaming options I missed?